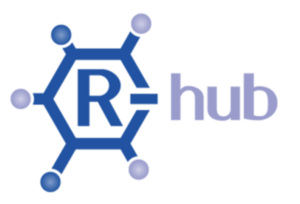 R-Hub is a modern platform for simplifying and improving the R package development process. R-Hub assists R package developers by providing facilities to test packages across multiple architectures, build binaries, and publish, distribute and maintain their packages. Developed by Gábor Csárdi, it is being leveraged by R package developers to improve the quality of their packages and to enable support for their packages across multiple architectures. You can try your package on the build service today, as well as provide feedback and code contributions to the project on GitHub.